6 Days Discover Best Bhutan Tour covers western Bhutan and also offers the visitor a brief moment to discover the history of some of the Dzongs (fortresses) and monasteries of Bhutan’s prominent areas. 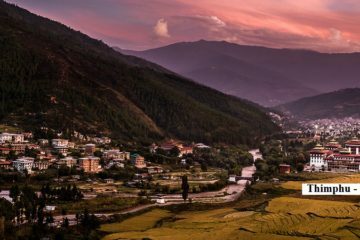 The 6 Days discover best Bhutan tour itinerary will take you around Thimphu which is the capital city of Bhutan allowing you to discover the history, arts, architecture and traditional life of the Bhutanese people which still remains amidst the vast development activities taking place in the country. 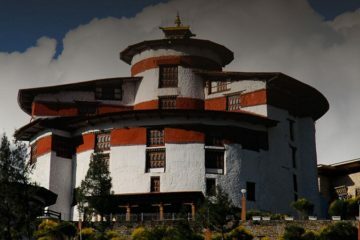 Other places of visit are Paro where the Taktsang Monastery is “nested” and Punakha – once the old capital of Bhutan and now the winter residence of the Central Monastic Body of Bhutan. Arriving at Paro International airport and upon clearing immigration and customs, you will meet with your guide and driver. Drive about one(1) hour 30 minutes to Thimphu (2,286), the capital of Bhutan. After lunch at the hotel, visit the National Memorial Chorten, built in 1974 in loving memory of the Third King, His Majesty Jigme Dorji Wangchuck. Where a multi-storied Stupa and numerous paintings are exhibited providing an insight into Buddhist philosophy. Visit Changangkha Lhakhang an ancient temple built in the thirteen century by Lam Phajo Dugom Zhigpo, situated on a ridge above the city. If your visit falls from Friday till Sunday, then visit the weekend vegetables market held at the Centenary Farmers Market. The market provides an opportunity to mingle with the local people and sample local organic produce. Local arts and crafts are also available. The first stop after leaving Thimphu is Dochula pass at 10,500 ft, where you can see one of Bhutan’s most enchanting views. If weather permits, from this pass, the breathtaking peaks of Bhutan’s northern bordedr can be viewed. At Dochula, you will also see a unique cluster of 108 Namgyel Khangzang Chortens that spiral up to the main Chorten known as the “Druk Wangyal Khangzang Chortens”. Reaching the village of Sopsokha, you can walk about twenty (20) minutes across the rice fields up to the monastery, Chimi Lhakhang. It was built by Lama Drukpa Kinley (also known as the Devine Madman by the west). It is believed that childless women who visit the monastery will conceive after receiving the ‘Wang’ (blessing). Visit Punakha Dzong located strategically are the junction of the Pho Chu and Mo Chu rivers, built in 1637 by Zhabdrung Ngawang Namgyel. The Dzong served as the religious and administrative center of Bhutan until the mid-1950s. Drive towards Nezergang and hike about one and half hour to Khamsum Yueley Namgyel Chorten in 1999 for the protection of the country and universal peace in the world. Day hike to Taktshang Monastery, built around a cave in which Guru Rimpoche (also known as Guru Padmasambhava) meditated. The monastery clings seemingly impossible to a cliff at 914m above the valley floor. For the local people its a place of pilgrimage, but for a tourist, a hike up to the view point opposite the monastery is exhausting, thrilling and mystical. Enroute to Paro town, visit Kyichu lhakhang. Kyichu lhakhang is said to have been built by King Songtsen Gam[o of Tibet. The temple also houses a museum dedicated to late Dilgo Khyentse Rimpoche and hosts a range of artefacts belongings to the Rimpoche. Its my second visit to Bhutan but the tour guide and driver made our Bhutan tour really great. Visiting western Bhutan was something new to know about the preserved culture that exist still today. Bhutan, an amazing place.